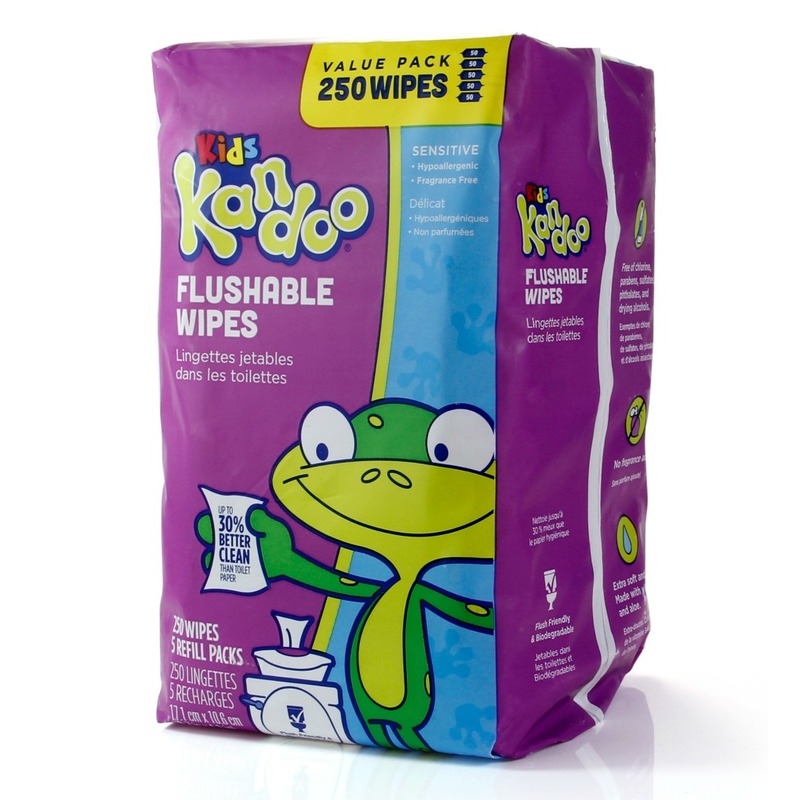 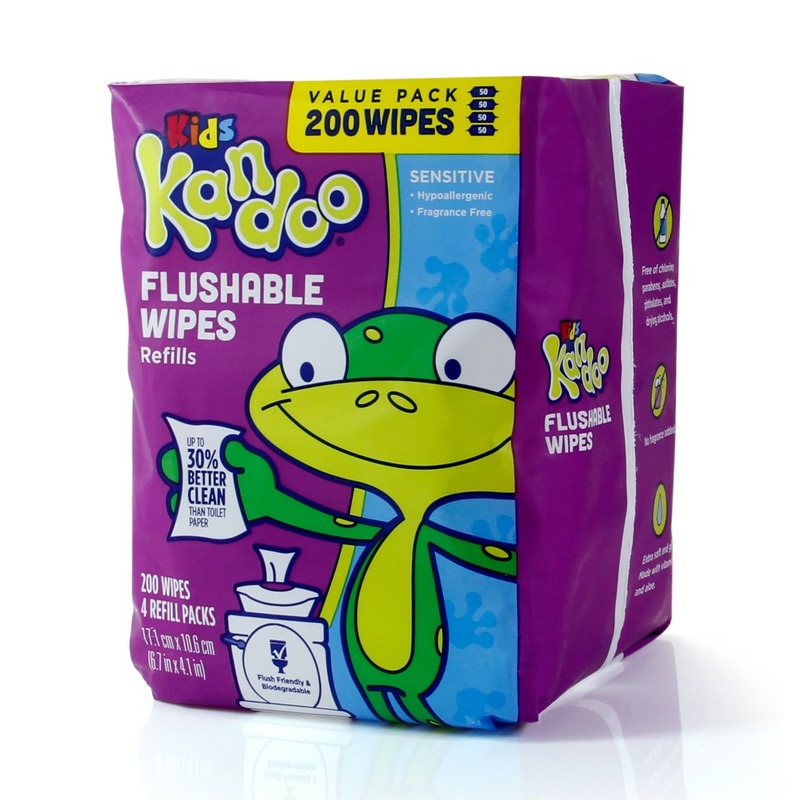 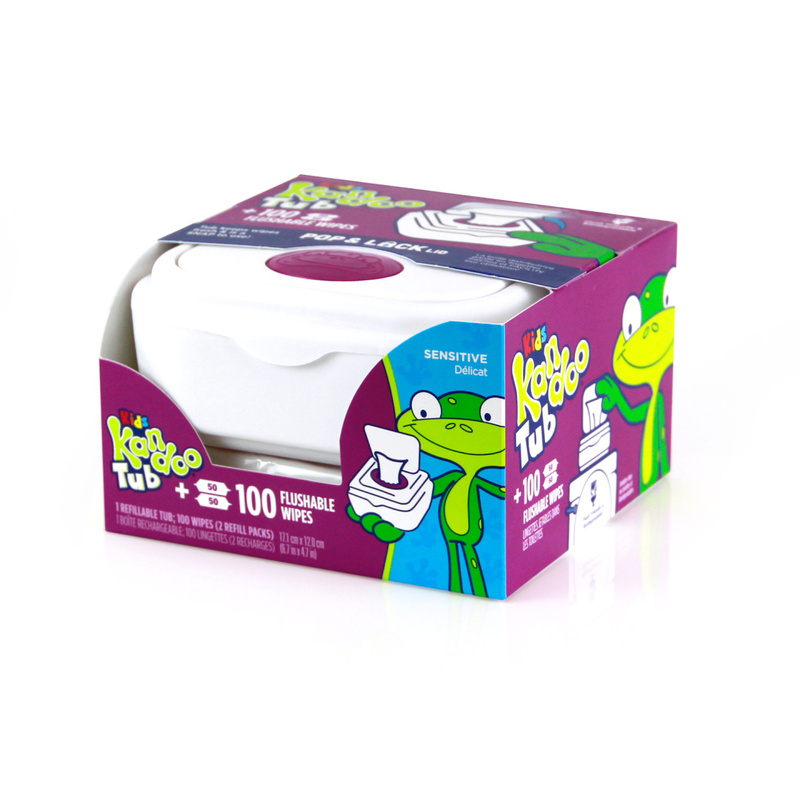 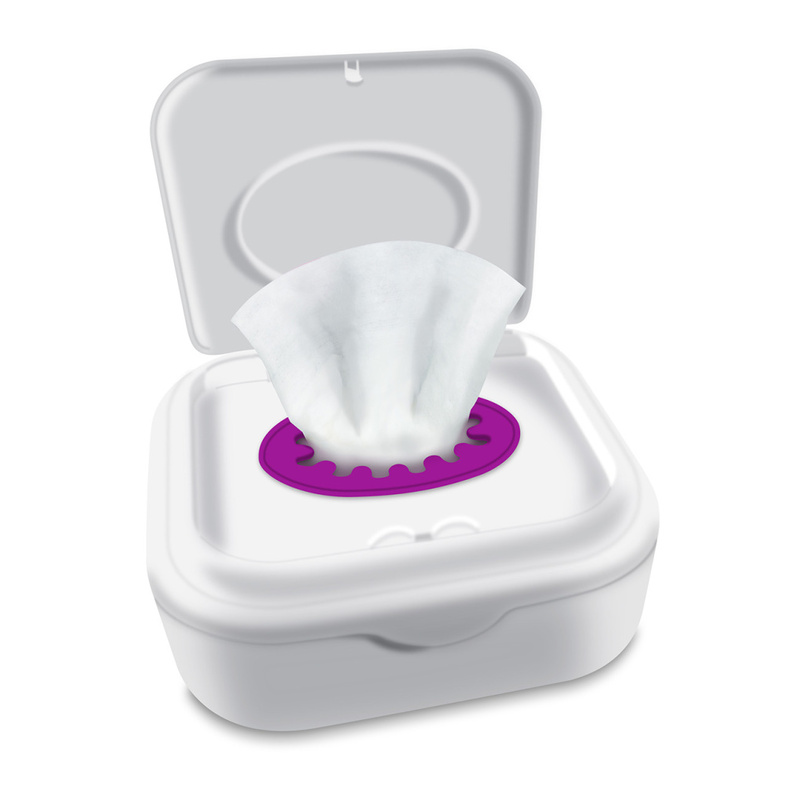 Kandoo® Flushable Toilet Wipes clean up to 30% better than toilet paper! 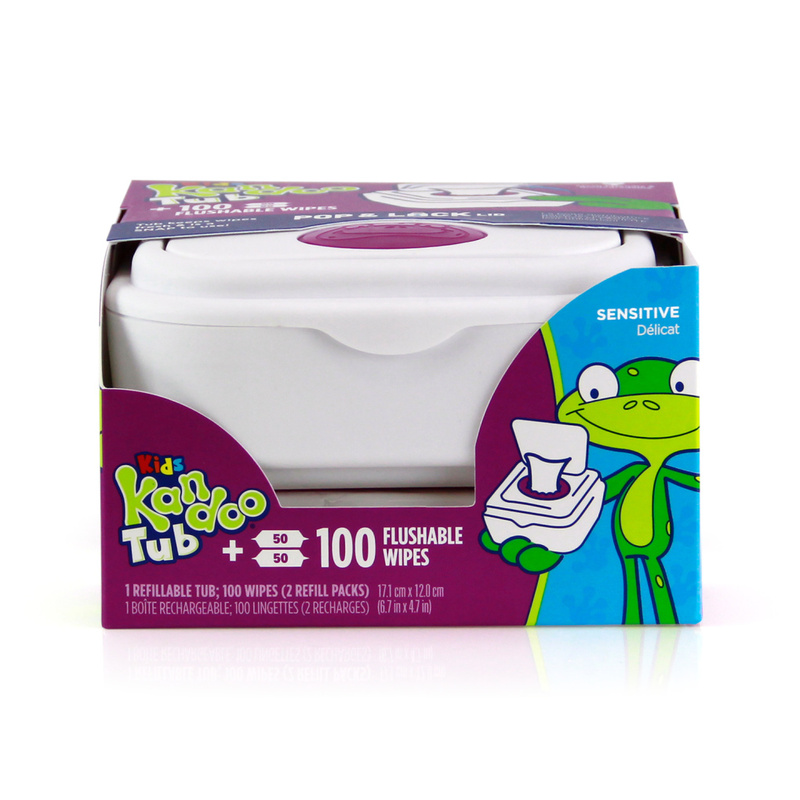 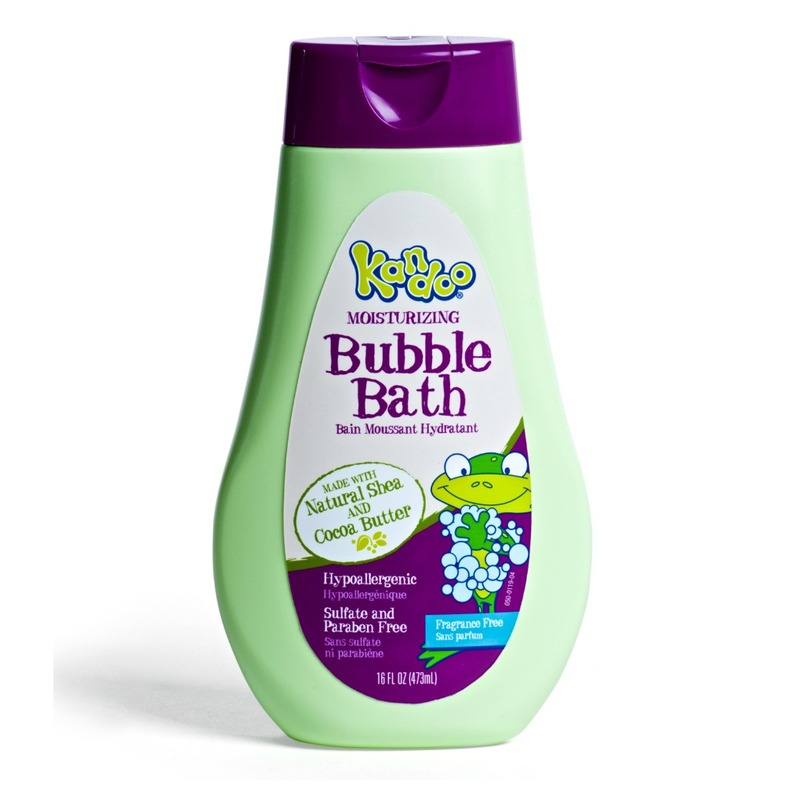 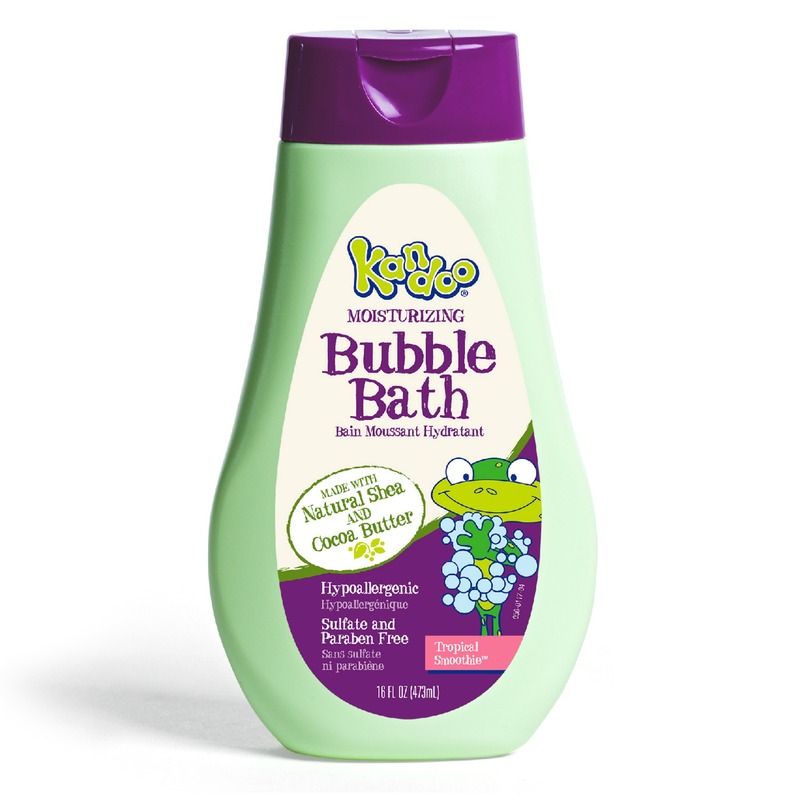 They’re moistened with lotion and pop up from the tub with the push of a button designed for little hands easy-to-use – no rolling or ripping required. 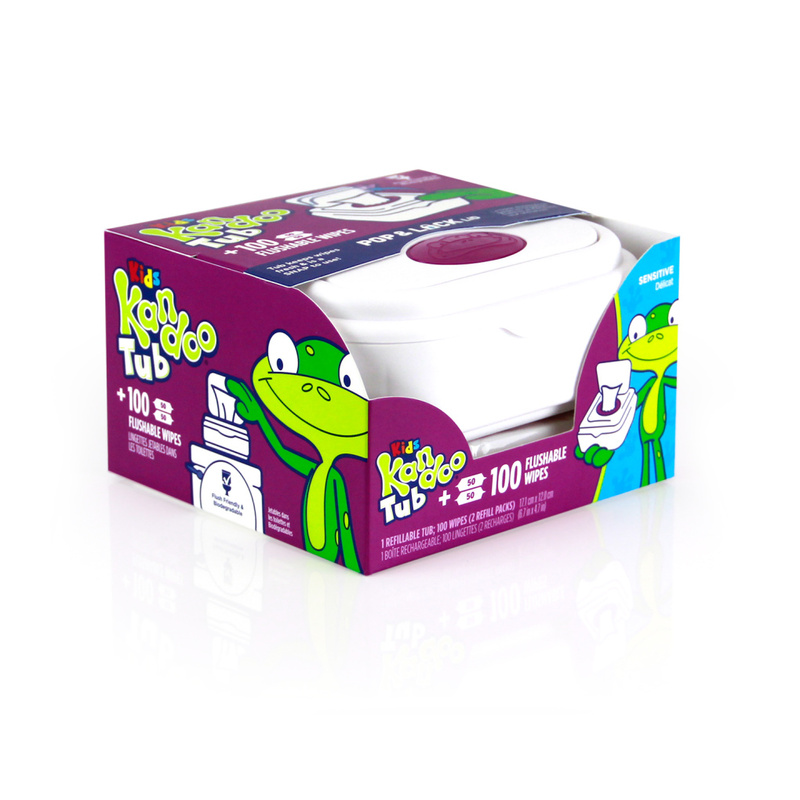 A Spring Action Pop & Lock Lid – easy, fun and a SNAP to use with little hands!